Let’s face it – for anyone other than the very select group of people actually being recognized, an award ceremony runs the risk of losing the interest of your crowd. But this doesn’t have to be the case. In fact, it shouldn’t be. With the right approach and creativity, award ceremonies can be a fun, entertaining, and highly memorable experience for even the people who won’t be going home with a trophy. Brett Mannes is August Jackson’s SVP, Creative Practice Lead for Higher Education. During his time with AJ, he’s designed and managed many award ceremonies and is a bona fide pro when it comes down to crafting inspired programs for our clients. 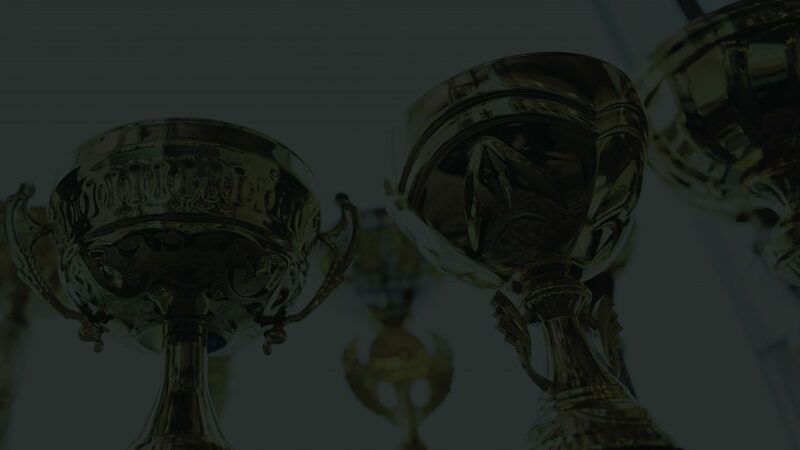 Here are Brett’s 8 tips on how to engage the whole audience (and make everyone feel like a winner) during your next award ceremony. 1) From the start, strategy’s focus should be on the entire audience. It’s easy to want to make the award ceremony a magical experience for the people who will be recognized and take home an award. But you don’t want everyone else in the crowd to feel like the night could have happened whether they showed up or not. The key to having a successful awards ceremony is to make sure every single person in the room feels included. That is certainly no small feat. 2) Smartphones are your friend. Work in a live poll during the award ceremony. This is a strategic way to get your audience curious about what their peers are thinking (and to validate their voices and opinions). And be sure to show the poll results on-screen during the award ceremony. Utilize live texting to have a fun competition. Tell the audience that the first five people to answer a question about the company (such as, “In what year was our company founded?”) will win a prize. Create questions that are in line with the company mission and the goals of your event in order to keep everyone connected and focused. Ask the audience for music requests. Have them text or Tweet their suggested song (and their name) and, as each song plays, give them a shout-out either verbally or on-screen! The point is… leverage the technology that is already in hand to make the experience more inclusive and engaging. Award ceremonies that drag on get dull fast. Well-planned show programs that move will really keep your audience focused and eagerly wondering what will happen next. “A successful award ceremony is really about pacing and striving to have the show stay one step ahead of the audience the entire way,” explains Brett. A good standard of practice: Write a really tight script (that also includes all technical cues in one place). This will help the emcee, the speakers, and the technical crew stay in sync and keep the flow ongoing. And, should something unplanned arise, this script will only help you maintain organization so that the “bump” can be smoothed over and you can get back on the tracks. 4) Where you seat the winners is important. Basically… keep your winners seated randomly throughout the room. Rely on your show, not your audience, to keep it moving. Otherwise, your audience will tune out. 5) Humor and the unexpected go a long way. 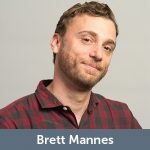 It was the great Milton Berle who once said, “Laughter is an instant vacation.” And according to Brett, that’s exactly what you want to do with an award ceremony – craft an experience that transports, uplifts, and uses humor as a gateway for connection. The bottom line is that you can’t “wing it” and have an awards ceremony that seems organic. If you wing it, it’s going to seem awkward and uneven, and no one wants that. 7) But don’t be afraid of imperfection. Simply put – imperfection is relatable and people respond to it. The moments during an award show that seem off-the-cuff or impromptu allow for your audience to really see the humanity of it all, arousing their curiosity for what is unplanned and engaging them more deeply to what’s happening on stage. To this end, Brett advises not to drive yourself mad striving for perfection. Instead, be as prepared as you possibly can be, be proud of that, and accept the beauty of the imperfections that may come your way. Try to take the content seriously without taking yourself too seriously. 8) Be vulnerable and emotional. Taking a page out of Brown’s book, August Jackson also sees the great strength in being vulnerable. “Every day, we as people strive to find our purpose in life through human connection, whether we realize it or not. And those moments of authentic human bonding happen only during times when we let ourselves be seen… when we show emotion, when we open ourselves up,” says Brett.